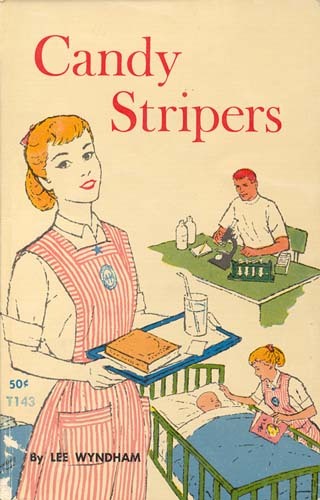 Bonnie Schuyler let herself be talked into joining the Candy Stripers. As a junior aide at the Medical Center, she lightened the heavy work load each regular nurse had. But she sometimes wondered why she was there — she didn’t plan to be a nurse; it was hard work; she didn’t especially like helping other people. One day she met David, a technician who was interested in a hospital career. Somehow he made her feel rather special and very grown-up.